Koh Phangan is a classy island, forget your stereotypical thinking of neon army fashion and think more 'stylish gypsy' threads. If you want to pick up some unique clothes on the island then there are some excellent places to do this. You can dress up for a delightful meal in a swanky restaurant or just feel like a king or queen in your paradise. 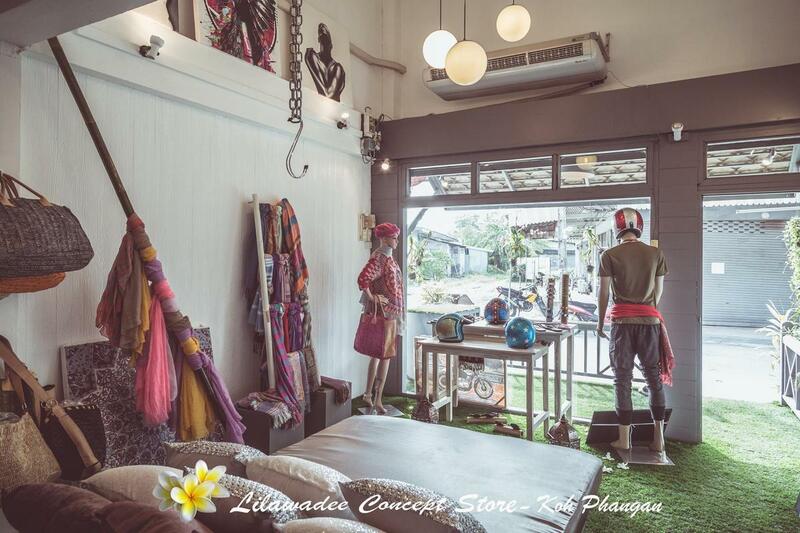 Lilawadee is a beautiful shop owned by Marco and Mumu who's own style is the essence behind it. You can find high quality men and women's clothing along with accessories from places that they have traveled before (and of course the famous beautiful helmets). 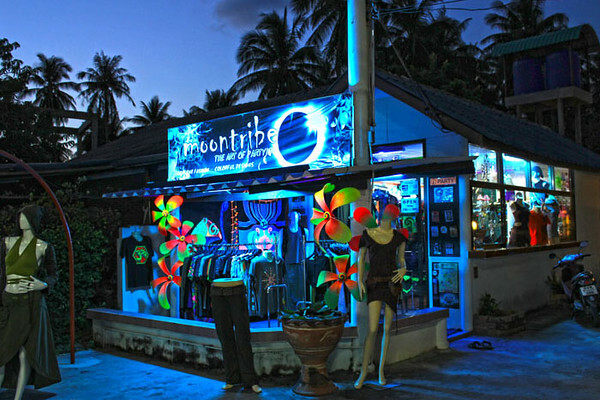 Moontribe is a well established business here on the island with two shops, Baan Tai and Thong Sala. Although most people associate this fashion with the 'Trance' genre, all of the items are very good quality and well made. Even if you don't feel like you fit in this genre you will still find something unique at Moontribe. 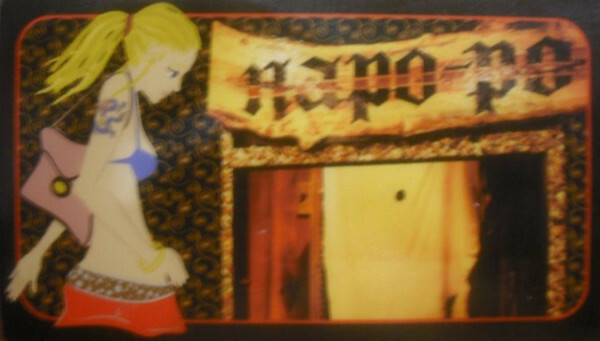 Located in the heart of Haad Rin, Napo Po is a unique shop selling high quality clothes from around the world. 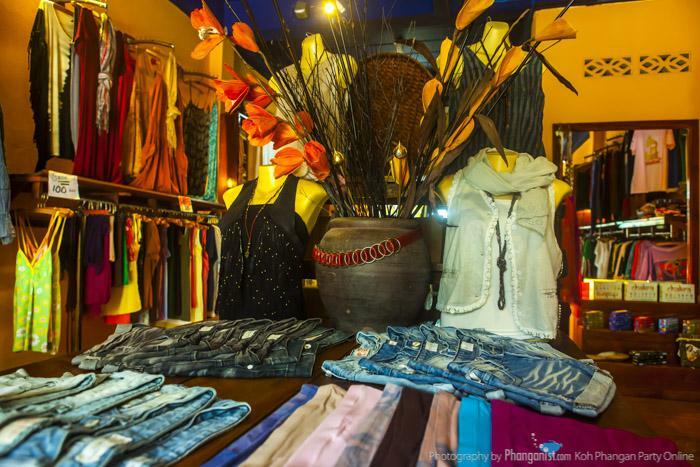 They have the latest fashions and very feminine, beautiful pieces which are ideal for making you feel extra special on the island. The shop itself has a sweet feel and owner Merav and her staff warmly welcome you. 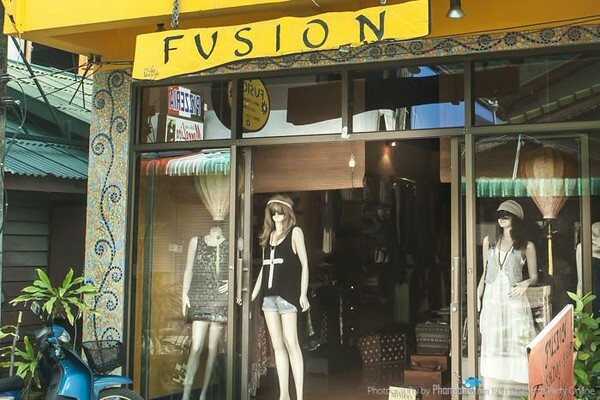 Fusion has a big selection of clothes which owner Nina describes as mostly vintage Bohemian. Fusion is open every day from 10am to 10pm and you find it right down from the pier in Haad Rin on your right side. Rose de Boheme is created by the lovely Aude and you can order directly from her and also find her pieces at Lek Art in Thong Sala. 'I like to mix my gypsy roots background and the lifestyle here, also and I like to enhance the beauty of women and lace is very feminine without being too much. I also love vintage stuff so I mix the vintage and gypsy'.